Got plans for the 30 May–2 June? No? Well, may I make a suggestion? Pack your kids and your tent and head to Cheltenham Racecourse for one of the best family events in the country. 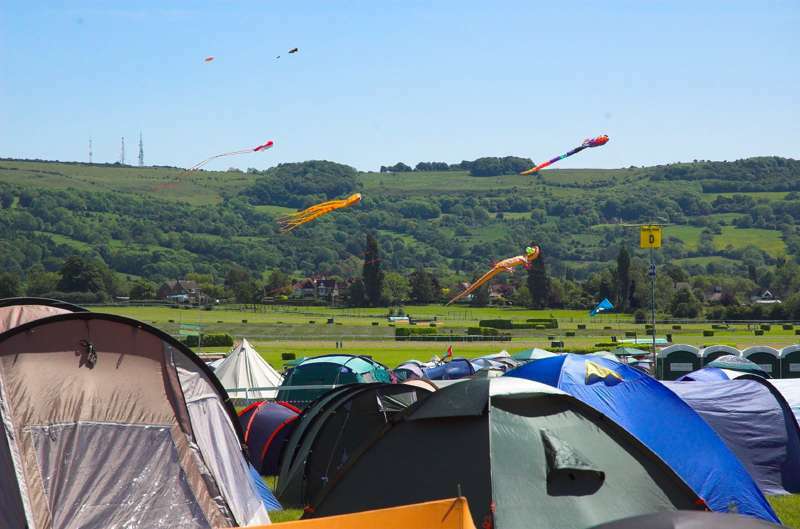 The leading boutique and family festival, described as a hybrid of the Big Chill, WOMAD and the Cambridge folk festival (a rather curious mix, I agree), Wychwood established itself as the leading UK family festival on its arrival on the scene back in 2005. Subsequent years have seen it going from strength to strength, and this year sees the best line-up yet. The main stage welcomes a fabulous, if not somewhat eclectic, mix of artists over the course of the three days that will appeal to folk of a certain age, including The Human League (admit it, you’re already humming “don’t, don’t you want me?”…..), Soul 2 Soul, Kate Nash, Sam Lee and Bill Bailey, along with the likes of Craig Charles, Toploader, Public Service Broadcasting, The Beat... Oh, and heaps more besides. There’s more to Wychwood than music, though. If you’re into dance, then take your pick, from break-dancing to belly-dancing, pilates to street dance, yoga to rumba. And this year sees Waterstones partner up with the Wychwood team to curate an extensive children’s literature festival, with a whole heap of award-winning authors (from Philip Ardaugh to Jenny Smith and Shoo Rayner) offering a combination of storytelling sessions, drawing workshops and poetry writing groups. The Roald Dahl Museum tent will also be jam-packed with storytelling and craft events throughout the weekend.Tony de Saulles, of Horrible Science fame, will also be bringing some of his gruesome illustrations to Cheltenham and running some cartoon workshops during the course of the weekend. If all this seems a little too much, take some time out to check out the Sculpture Gardens or visit the Healing Gardens and indulge in a little reflexology, hopi, homeopathy, reiki, osteopathy and more massage techniques than you can shake a stick at, including Mongolian sky energy massage (your guess is as good as mine!). Find out about yourself in previous lives with a 'past life regression taster session', or see what the future holds with one of the tarot readers or psychics on site … or perhaps you should just enjoy whatever life throws at you on the day! Pray for good weather, grab your flip-flops and wellies, throw the tent in the car, grab the kids and head to Cheltenham – see you there! For more details, ticket information and the most up-to-date news on the line-up visit the Wychwood Festival website.